Printing human tissue and organs! Printing what? What sounds like a science-fiction idea isn’t anything like that. A Nasdaq-listed company is hitting the headlines with their revolutionary bio inks which are shaking up the medical world, potentially making it a better one. Founded in Sweden and this only last year, Cellink has already made it into the Nasdaq-league. Meaning: They must have developed something big. And they have, indeed. Something that could advance cancer medication testing, plastic surgery, or counteract the shortage of organ donations. We’re talking about 3D bioprinting. While the concept of 3D printing is widely known, “bio ink” might be a product less familiar. So, what are we, or better they, dealing with? Bio ink consists of a hydrogel biomaterial. It temporarily mimics the natural extracellular matrix environment of mammalian cells, giving them time to produce their own milieu. 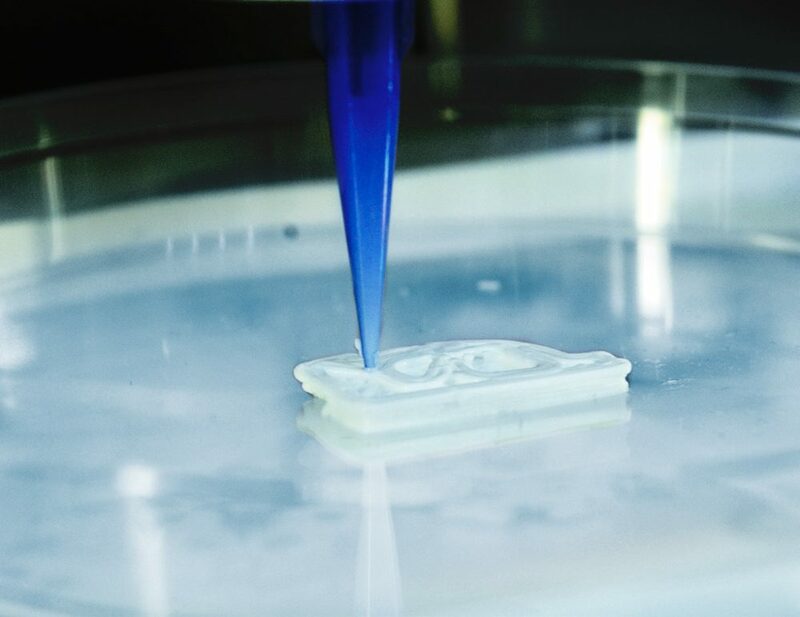 And it is printable, thus ideal for 3D bioprinting. In the end, bio inks provide a 3D environment for culturing cells. “3D bioprinting makes it possible for you to engineer cells to grow into a heart valve to replace one that is damaged from heart disease,” Gusten Danielsson, Chief Financial Officer with Sweden-based Cellink says, depicting the extent to which 3D bio-printing might shape the future of medicine. This goes far beyond cosmetic plastic surgery. Let’s take facial reconstruction as an example. Where surgeons had to work with generic plates, casts, and screws, searching for the one fitting their patient best, they’re now having an exact replica of a patient’s face at hand – a customized repair kit of bones, 3D-printed.